First, a well-established content strategy motivates you to focus on your prospective audience. It’s common to feel like everyone would love your book, but it’s important to leave that notion behind. Your voice, your story, your book will appeal to a specific audience and identifying that audience is an essential element of selling your books. When you establish a content strategy for your online marketing, the first step is to identify that audience so you can properly target and address it. Without this, you’re simply yelling into the void of the Internet and your results will, invariably, disappoint you. Second, it gives you a well to draw from for new content. Content creation is a key part of establishing your online identity. 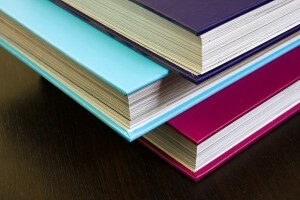 What kind of material will you produce to entice prospective book buyers? In the event that you’ve avoided taking the time to establish a specific strategy for your online efforts, the options for content creation can become overwhelming. While it may seem counterintuitive, if you’re trying to live your life (or market your book) on the open road, a lack of map often leaves you meandering. This often leads to a lack of content, inconsistent content, or content that does nothing to bolster your prospective reader’s desire to purchase your books. Instead, by working on your content strategy, you’re giving yourself a roadmap to creating new content that is compelling. Third, it systemizes your online marketing attempts. Launching a book marketing campaign is hard work. The expanse of the Internet is intimidating and, often, seems utterly unresponsive. If you’ve established a content strategy, though, it is possible to measure your endeavors. Using metrics and other online tools to measure your traffic and reach, you can gauge what’s working and what’s not. This way, when you’re not making the sales you’d like, you can address the actual problem, rather than getting frustrated and stepping away from your efforts entirely. Fourth, it builds your brand. As a self-publishing author, you have become an entrepreneur. You’re effectively a small business, having put up your own money to invest in the creation in your own book… but thinking like a businessperson can’t stop the moment you hold your first printed copy in your hands. Tackle your book marketing as if you’re running a business: define your brand, discover your audience, and make great content (blog posts, future books, social media posts, and more) that all contribute to and build that brand. Putting all of that in motion is your content strategy. Without it, you risk watching your sales stagnate.